Before getting to work decorating the home office (the right desk, chair, lighting), start with a paint color that suits, inspires, and energizes you. 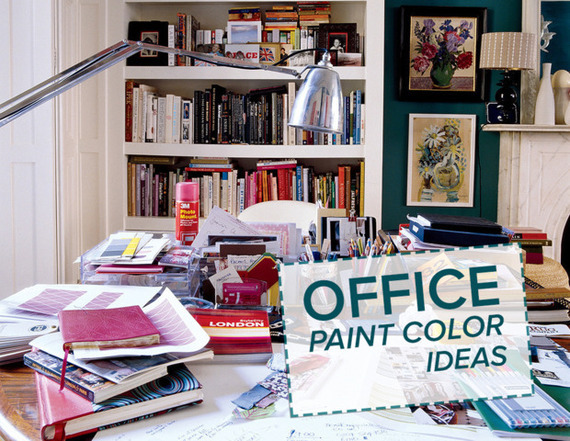 Before getting to work decorating the home office (the right desk, chair, lighting), start with a paint color that suits, inspires, and energizes you. Here are a few favorite hues. Create a modern office space by starting with a clean slate. Bring crisp white walls to life with inspiring photos and artwork that can be changed out as creativity evolves. Are you focused, straight forward, and like getting right to the point? A bold color like this dark chocolate wall might be just right for you to take care of business matters. Sophisticated, linear artwork can create the perfect focal point to lighten up the room paired with a pristine, sharp desk. Juggling work and bringing the kids to their daily activities? Light colors set a soothing tone. Sky blue paint may be the ticket to taking the stress level down a bit. Just add a white stripe with natural decorations to take this space to the next level. 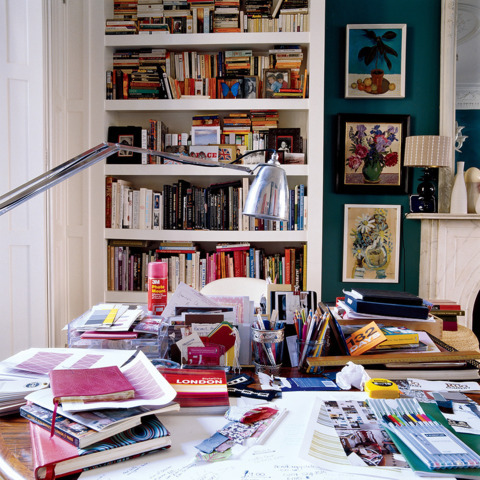 Some creative personalities need just the right amount of chaos in their surroundings to stay focused. To make this room perfect, add a foundation color that will pull all of that creative energy together. An all-white workspace leaves zero room for distractions. An interesting lamp and desk will break up the monotonous setup and add character to an otherwise plain space. 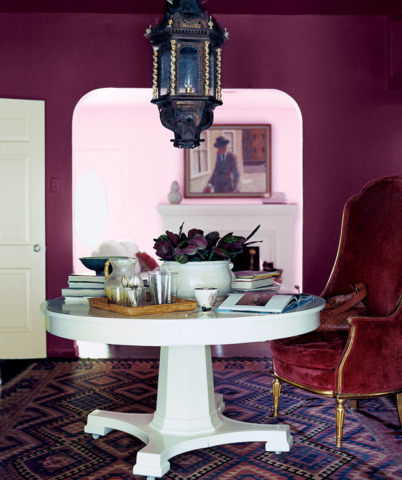 A Moroccan-style space takes glam to the next level with a deep shade of plum and a patterned rug. A glimpse of pink walls beyond the study makes the space feel inviting and spacious. Branch out in this inspiring space. Adding a collection of iconic black and white photos in sharp black frames makes this office incredibly chic. Neutral walls paired with wood furniture bring a feeling of strength and power to a room. Brighten it up with long, crème brûlée drapes that open up to a source of natural light. A pastel backdrop can be the perfect palette for artistic expression. We love how this buttery room opens up to light pink walls, which leads up to a clean white staircase. Remember to surround yourself with things you love. Your favorite books, statuettes, and art can be an inspiration in itself.